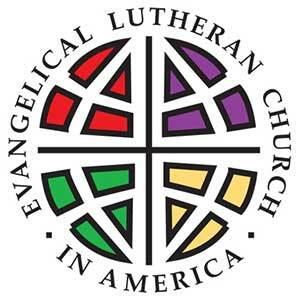 God has richly blessed me by leading me to a life of ordained ministry in the Evangelical Lutheran Church in America. (ELCA) I began ordained ministry as the Mission Developer of a Spanish speaking mission in the Rio Grande Valley border area of Texas. I then served as Pastor of the bilingual/bicultural Lutheran Church of the Good Shepherd/Iglesia Luterana del Buen Pastor in Mexico City, before serving over 25 years as a Lutheran Campus Pastor, first in Baltimore and then at the University of Texas at Austin. I’ve been active promoting interfaith cooperation, in reaching out to culturally diverse communities, and in global mission through many years of relationship with Lutheran Churches in Mexico and Central America. I’ve found my chief joy in ministry to be sharing life together with others who seek to follow Jesus and work for the healing of the community and of God’s good creation. I was born in Seguin, Texas, and attended Texas Lutheran University before getting a Psychology degree from the University of Texas at Austin. I received a Master of Divinity degree from Pacific Lutheran Theological Seminary, in Berkeley, CA, after earlier completing a Masters in Religion and Sociology. I completed a Masters in Clinical Social Work from the University of Maryland at Baltimore. Marsha and I were married in 1978, and family has become a chief blessing of my life. Marsha has worked as a clinical social worker, for some years as a foster care supervisor for Baltimore County Social Services, MD, and then with Seton Hospitals in Austin, TX. She is also an enthusiastic weaver. We have two children, Nathan and Aleisha, who both live in Baltimore. We’ve been blessed by four grandchildren, and we also enjoy our dog Tule, a black Lab and a mixed breed. Steve Beck – Director of Music Ministry. Our Director of Music Ministry is Steve Beck. Steve directs the adult choir for us on Wednesday nights at 7:15 p.m and children’s choir on Sunday mornings at 8:45 a.m.
Virginia H. Trygstad – Director of Education and Congregational Ministries and Director of the Christ Lutheran Preschool. Dennis and Tanya Shifflet – Parish Custodians. Dennis and Tanya are from this area. In December of 1979 I came to paint the house we now reside in. We then became custodians of the church in 1980. My family was baptized here and my two girls were confirmed here as well. Connie Hepler – Church Administrator. Connie grew up in Harrisonburg, Virginia in beautiful Rockingham County. She moved to the area in 1983 to begin work with the U. S. Navy, after attending James Madison University.